Restaurateur Jay Tan wooed the Italian master franchisors by staying true to the brand values, plus pooling a young team and listening to customers’ feedback to keep the franchise vibrant. Have you ever found yourself yearning for something for so long but never gave time to focus on it? 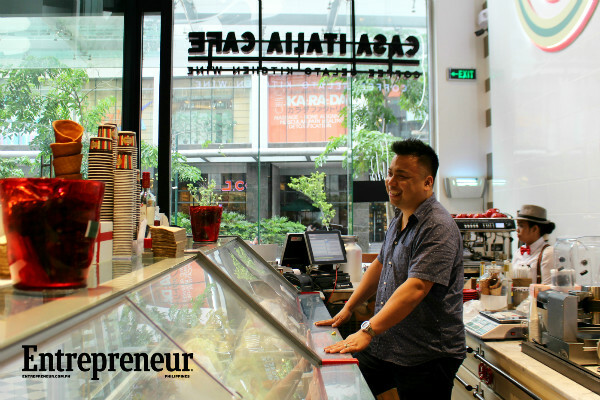 In 2010, restaurateur Jay Tan did just that, as he took the plunge to pursue his passion and never stopped swimming through the waves of entrepreneurship since. “I spent a decade in manufacturing, talking to machines. But when I’m in a restaurant, I feel I’m affecting the lives of people. I decided, this is what I want to do,” Tan told Entrepreneur.com.ph. The foodie had his first taste of the restaurateur’s life when he was invited by his friends to open a Chinese restaurant in Cebu in 2010. Like many full-time professionals who wanted to try out some side business, it was supposed to be temporary. “But in the middle of construction, one of our partners who was supposed to oversee the operations of the business backed out. So I stepped in and took the role,” Tan said. This commitment resulted in to more than 50 flights a year to the Queen City of the South, as he was based in Manila. It was tiring, taxing, and trying, but all the more thrilling. Tan took delight on serving someone’s favorite meal or how a simple birthday song can uplift the spirits of some customers. By then, he knew it was his calling. “When I was in the factory, all I did was oversee machines, but when I’m in the restaurant I loved talking and sharing time with people. I wanted to do more,” Tan said. The business enamored Tan, enough for him to pursue other ventures that would make him better for his new role in life. When Chatime came in the Philippines, he acquired the franchising for Cebu, and solidified the brand’s presence in the region. But two years in, Tan wanted to have something bigger. So in 2013, with his cousin, full-time Chef Richmond Co in tow, Tan flew to Singapore to search for the food bite he will never let go. From pastries to fine dining, the pair devoured every dish they could get their hands on. But after 20 brands, nothing has stopped their hearts enough. “So when we tried Casa Italia’s gelato, it really made me say, ‘Oh my God, [this is delicious]!’ I wanted to find something addicting, and that was it,” Tan recalled. They were having a taste of the brand’s durian flavored gelato, surprised on how the Singapore-based Italian brand could turn the distinct Filipino fruit to something delectable. It was the first of many more gelato flavors they would try in the following years. But getting the master franchisor’s yes was not that easy. It turns out, Tan was not the only one who fell in love with the brand. When he expressed his desire to bring the brand to the Philippines, there were three others who thought of the same thing. “I think what made them say yes to us was Jay’s vision. 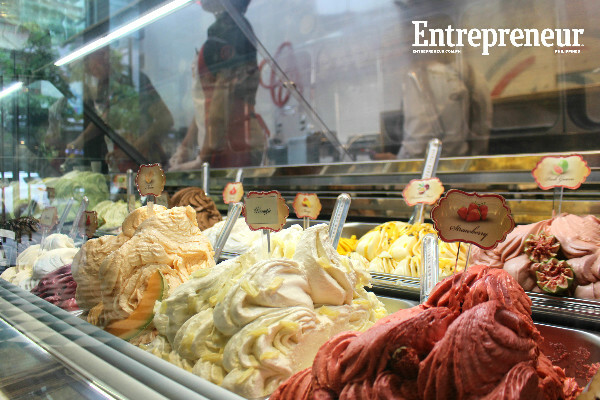 If you see them in Singapore, Casa Italia is limited to small spaces because they are more of an ice cream outlet than a restaurant due to expensive lease fee there. It was Jay who proposed to them to make it a gelato café once they come to the Philippines,” Co said. After a year, they were already building their first branch in Bonifacio Global City, where Tan sat down for an interview with Entrepreneur.com.ph on May 12. To keep the Filipino branch loyal to the brand’s values, all furniture in the restaurant were shipped from Italy, from the lighting fixtures to the tables and chairs. 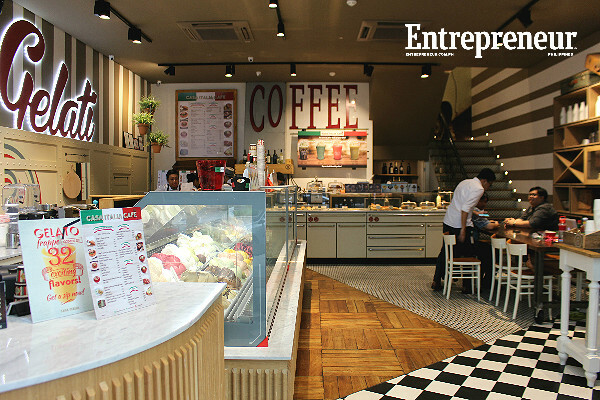 It was also the master franchisors, who are Italians themselves, who conceptualized the branch’s interior design. “But more important than that is we use all-natural ingredients for our dishes, and some are still shipped from abroad. For example, the chocolate used for our gelato ice cream still came from Madagascar, the pistachios came from Italy. Sometimes, I wonder if they plan to make money with the expensive costs!” Tan quipped. But this very attention to details made the entrepreneur all the more committed to the brand so when he chose the team to run the business, he wanted someone he could trust: his family. “I brought in my young cousins who are chefs too, most of them still in their 20s to keep the vibe young and my passion burning. With that, you can never go wrong,” Tan said. Expectedly, Tan chose the person who was with him when he first tasted Casa Italia as the head chef, his cousin Richmond. Richmond admits the whole journey has been an adventure, considering the gargantuan task he was handed to. “We make everything in house, our pizza dough, our pasta, and every gelato flavor we serve. It’s tiring but fun, especially when we serve something we’re proud of,” he said. The 24-year-old chef not only oversaw the conceptualization of the original Filipino meals on the menu, he mans the kitchen every day too. The Casa Italia Philippines’ team of 10 had trained for more than two weeks to learn every dish from the Singapore branch’s original menu. So on the first day of operations, Tan and his young team could not help but cry after a day’s work. For them, the whole concept was their own “baby” that has finally been introduced to the world. And like a child of his own, Tan is hands-on to everything the customer has to say to keep the business thriving. “I read more than 70 customer suggestions every day and I make sure I share it with the team. In the restaurant business, the main challenge is to keep customers happy. If you’re not willing to listen, you better leave,” Tan said. 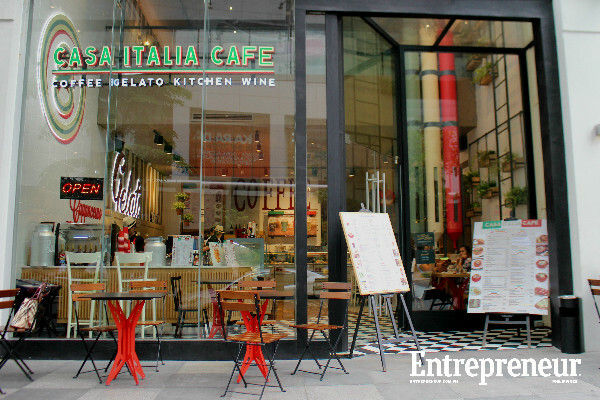 Casa Italia Philippines plans to open two to three more branches this year. Currently, they have the BGC branch and another in SM City North Edsa. And it looks like they are here to stay. Elyssa Christine Lopez is Entrepreneur.com.ph's editorial assistant/ staff writer. Follow her on Twitter @elyssalopz.